Taken on an October afternoon on Islay, three Barnacle Geese in the mild afternoon sun with a faint Moon visible in the sky behind them. 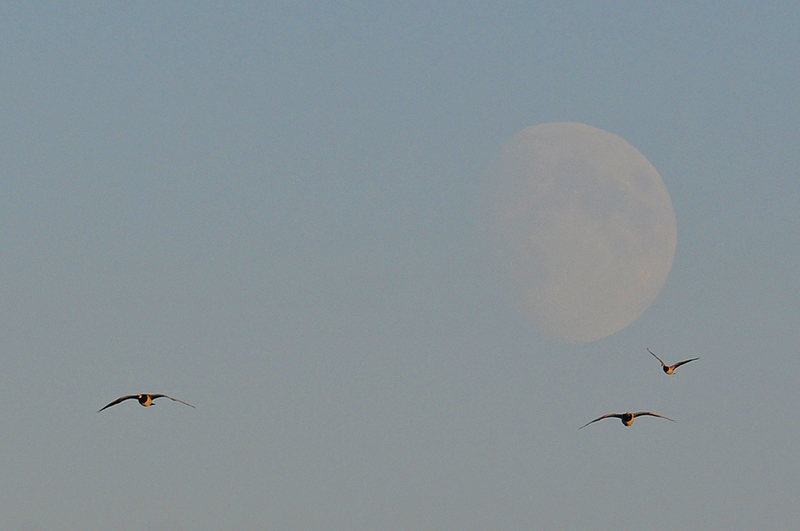 This entry was posted in New Post, Sunny Weather, Wildlife and tagged Barnacle Geese, Islay, Moon by Armin Grewe. Bookmark the permalink.